Happy Sunday! It’s not often I do tutorials, but this one I’m SUPER excited about! I just love a good scarf: cashmere, silk, printed, square, you name it. 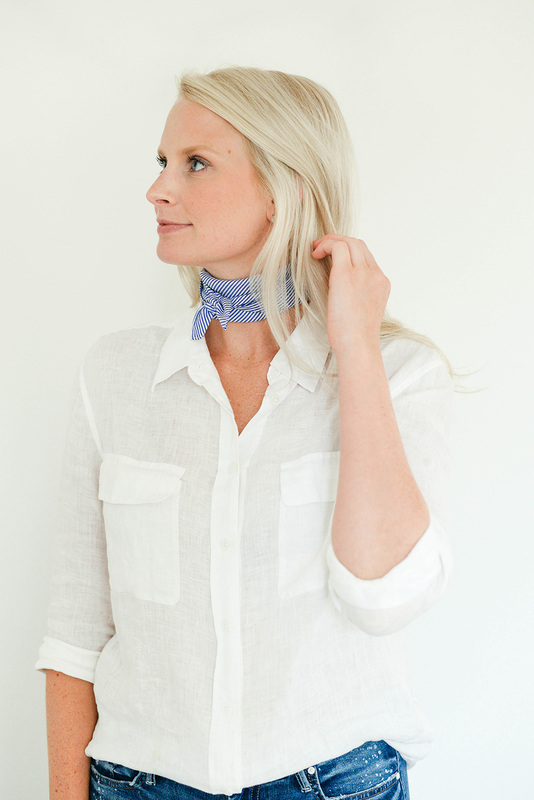 Tying on a scarf is such an effortless way to add a punch of color, texture or just a fun and unexpected detail to any outfit. They’re a great way to diversify to your travel wardrobe too, especially if you’re trying not to pack a bunch of different outfits. 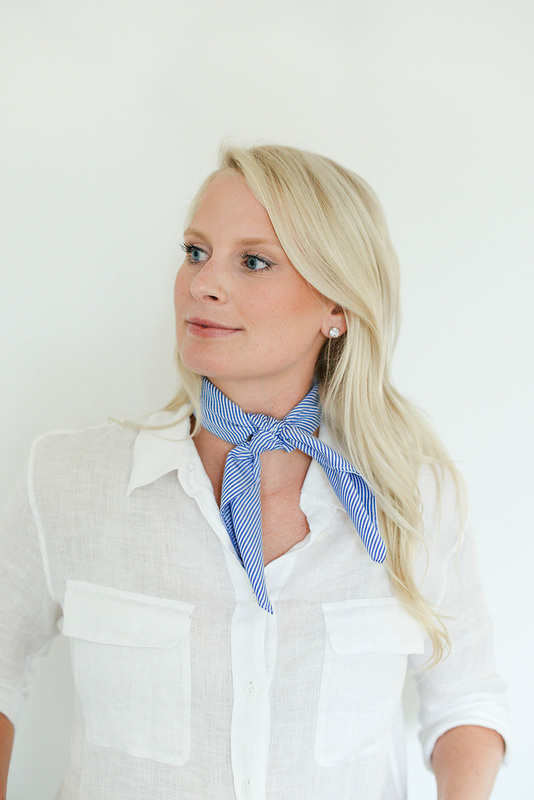 Here are some of my favorite ways to style a square scarf and how to achieve the look yourself! The first step for nearly all of these looks is to fold your square scarf into a triangle and then roll it up into a single line (see above for an example). Once you’ve done that, place the middle part of the scarf against the back of your neck so that the two ends hang over your collarbones. Next, create a knot in front with the two ends – this can be where it gets tricky to get it right… sometimes it takes me 10 tries! You’ll get the hang of it though. Once you’ve made the knot to your liking you can adjust the little ends so they sit where you want them. My suggestion for this style is to wear the knot just a bit off-center! This might be my favorite look at the moment. Isn’t it just darling?! 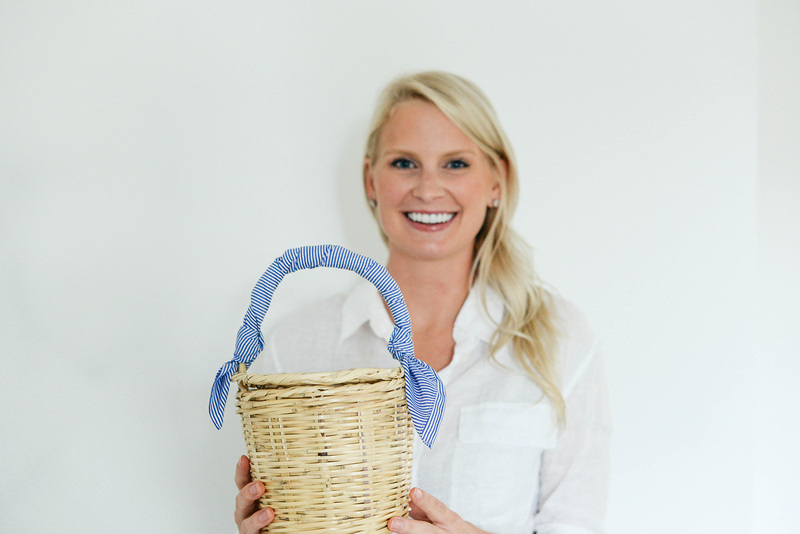 You really want to reserve this look for handbags with a very thick and stiff handle – flimsy handles will not work! As I mentioned above, first fold your scarf into a triangle and roll it up into one long line. Next, use one point of the scarf to tie a single knot at the very end of one side of the handle (see above left photo). Next you’ll begin wrapping the rest of the scarf around the handle – if your square scarf is smaller like mine, try to spread it out so the fabric just barely overlaps on the edges so you can reach the other end. You want the knots to be symmetrical! Once you’ve gotten to the other end, tie another knot to secure the scarf in place! 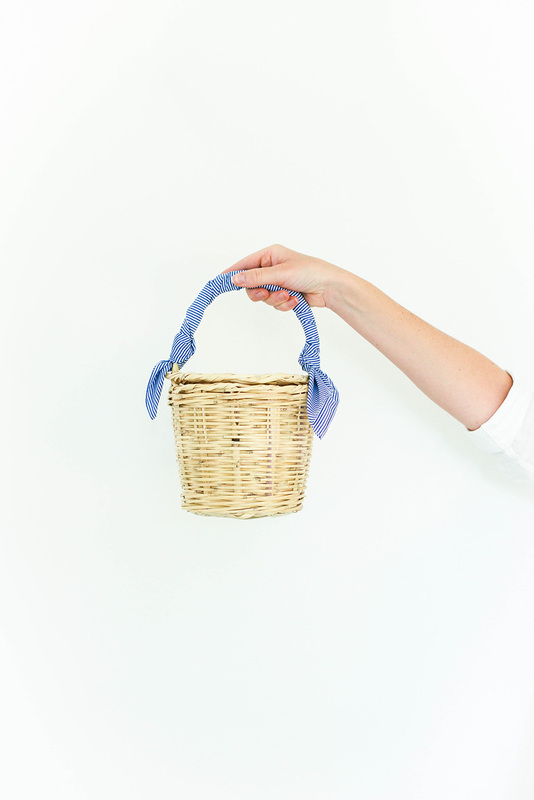 Super easy and SUPER cute. For the scarf bracelet (on the left! ), you may need a second pair of hands! Fold your square scarf into a triangle and roll up neatly into one long piece. Wrap it around your wrist twice, and then have a friend/roommate/significant other create a knot with the ends. 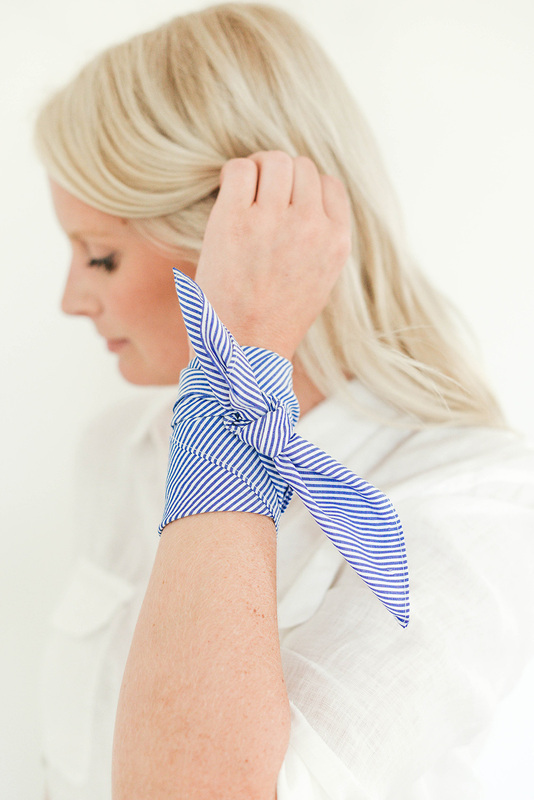 If you need to, shift the bracelet around so the knot is sitting on top of your forearm. 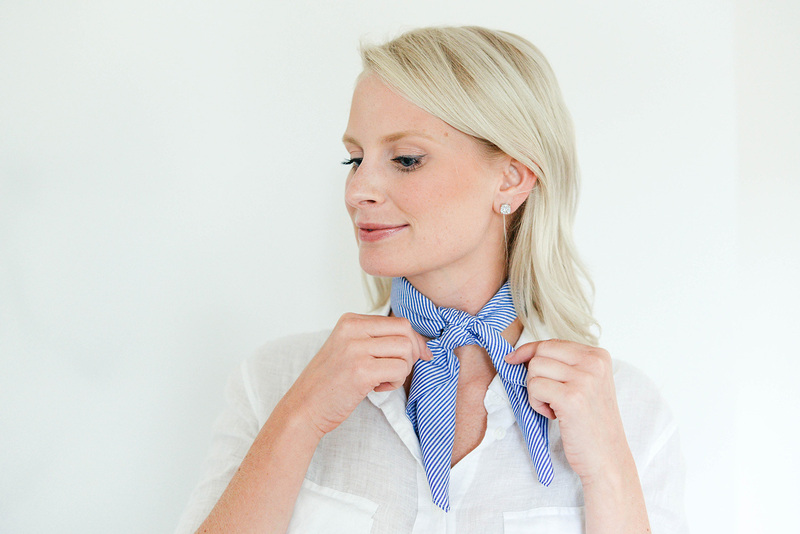 For the choker style on the left, fold your square scarf into a triangle and then roll it up so it’s one long piece. This time, place the middle of the long piece on the front of your neck so the end points hang over your shoulders, grazing your shoulder blades. Grab the end points and wrap them around so that they are now facing the front. If you have a smaller scarf like I do, you won’t have much to work with – but at this point you will tie it into a knot in the front. 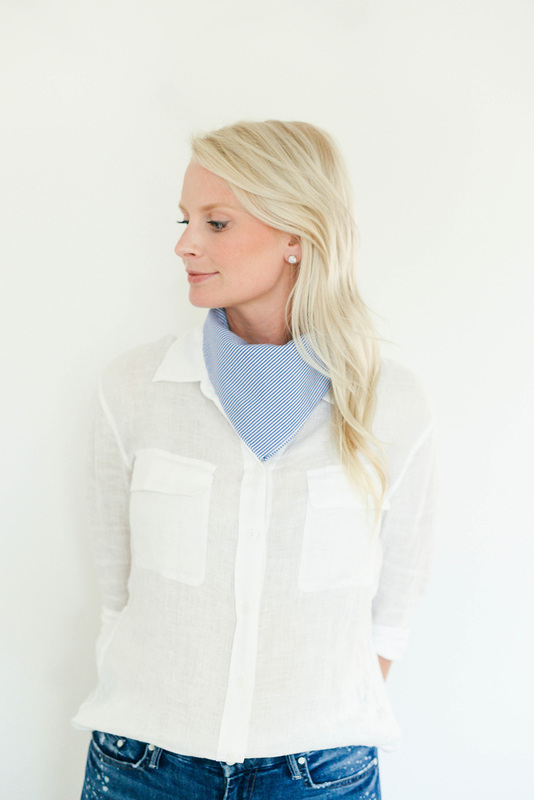 For the handkerchief style on the right, fold your square scarf into a triangle. Place the scarf around your neck with it still in a triangle, so that the biggest point is on your chest and the two end points are hanging on your back. 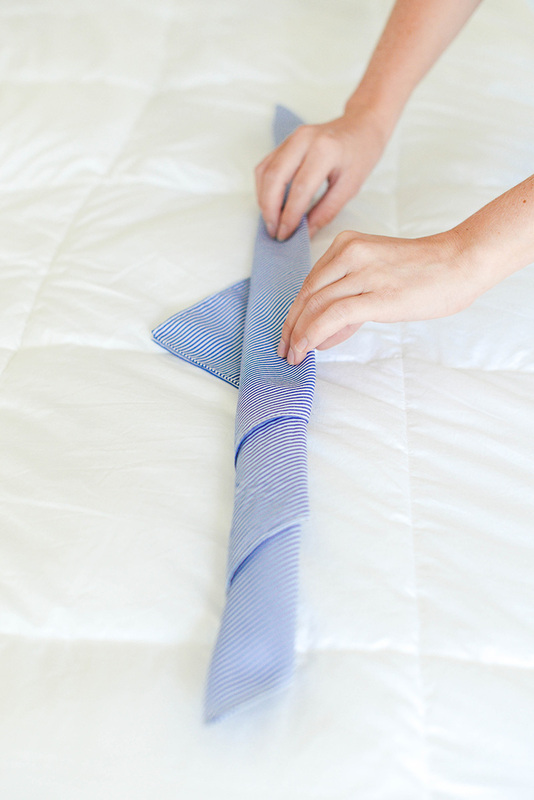 Tie the other two end points loosely into a knot. Again, this is probably not a look I’d wear with this specific shirt – just wanted to keep the photos cohesive! 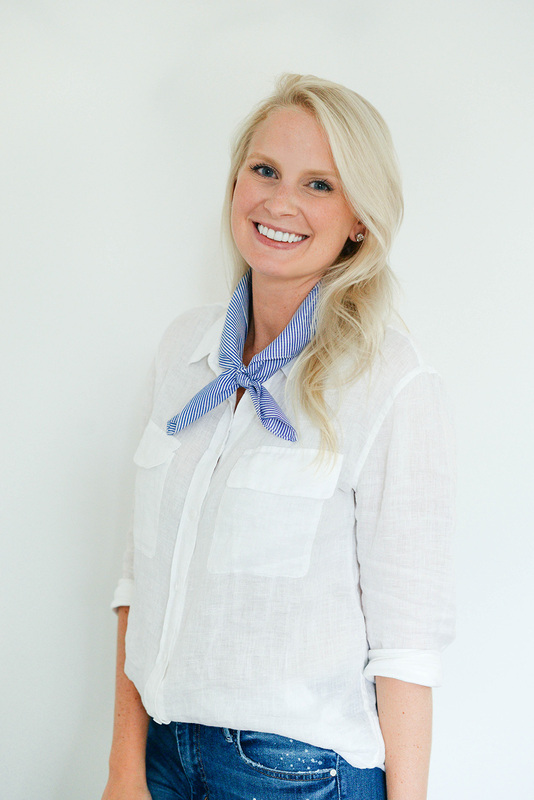 SHOP SOME OF MY FAVORITE SQUARE SCARVES BELOW! I hope you guys enjoyed this fun little scarf tutorial as much as I did! Recreate these looks on your own with these chic scarves I found from around the web. I included pieces in a variety of price points, prints and colors – if you try these looks yourself, I’d love to see!! 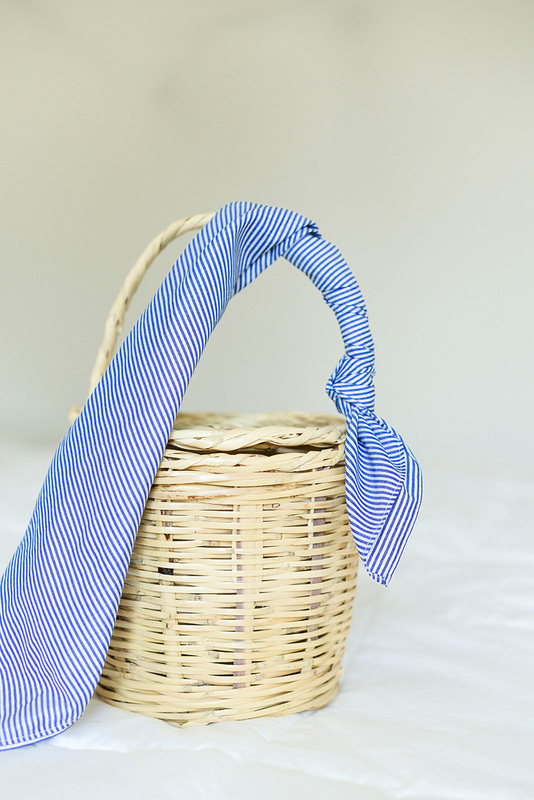 Loving the shades of blue on this J.Crew silk scarf! Under $50 and such a versatile color scheme. Black and white large-print gingham for the win in this Rag & Bone scarf! This Tory Burch scarf is on sale for $55 and features the perfect summery print! The subtle stone wash blue on this star-print scarf is so pretty! If you obsess over the print on my Dolce & Gabbana skirt like I do, you’ll adore this scarf. This black + white silk bandana is one you could easily wear year-round, don’t you think? Transition your favorite neutrals into fall with this burgundy floral Gucci scarf. If simple prints are your thing, try this polka dot style or these stripes.